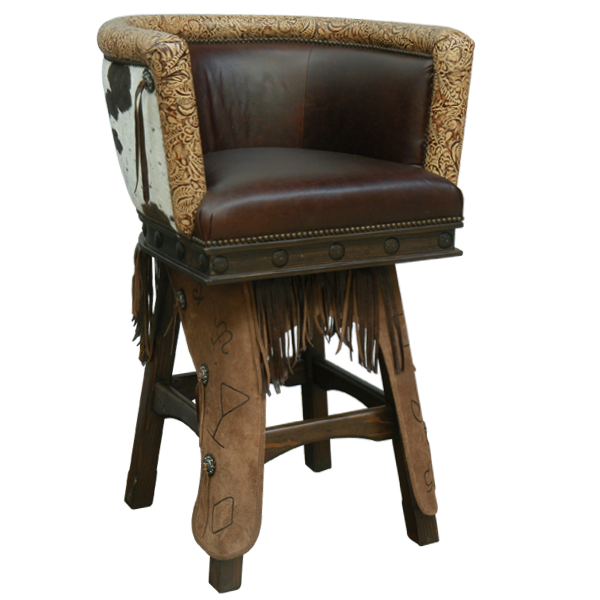 Take a journey through time with this Western style custom handcrafted bar stool. Beautifully upholstered with rich dark brown full grain leather on the seat and inside seat back, and upholstered with genuine cowhide on the reverse seat back. The top of the rim of the inside seat back is upholstered in spectacular highly embossed genuine leather. 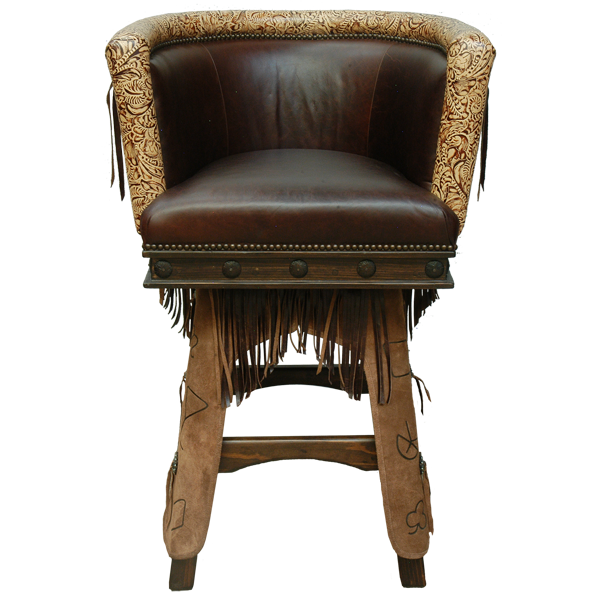 The Western design is continued with long brown genuine leather fringe hand tacked around all sides of the base, and hand forged iron conchos on the lower part of the base. 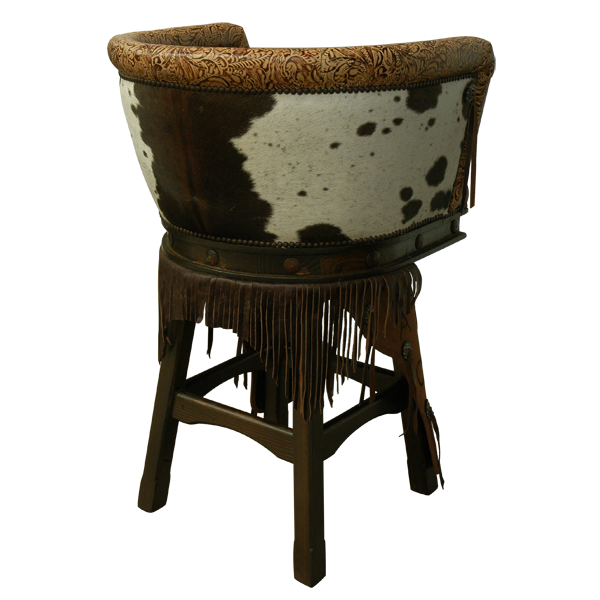 Also, the bar stool is embellished with hand forged iron slotted conchos and latigo genuine leather strings on each side of the seat. Each of the leather chaps are adorned with three hand forged conchos, and the chaps can be customize with your brand name. Durable as well as beautiful, the bar stool is made with the best quality wood available. The entire bar sits on splayed solid wood legs joined by a curved cut footrest box stretcher. The bar stool swivels 180° and is 100% customizable.